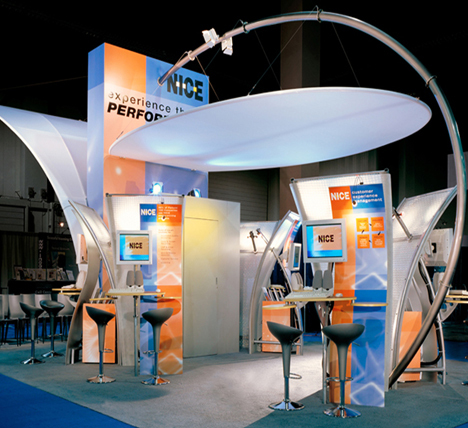 Do your trade show displays communicate to your customers? Trade show displays can be extremely effective outlets to showcase your products and services to large numbers of customers and potential clients. Based out of Connecticut, DayDesign specializes not only the design of your trade show displays, but also in marketing and program management. 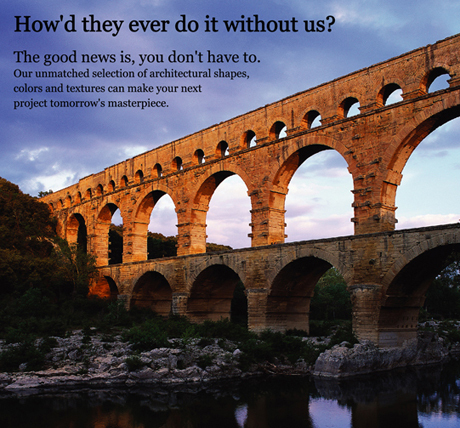 We take care of all the details so that your investement will yeild the greatest return. 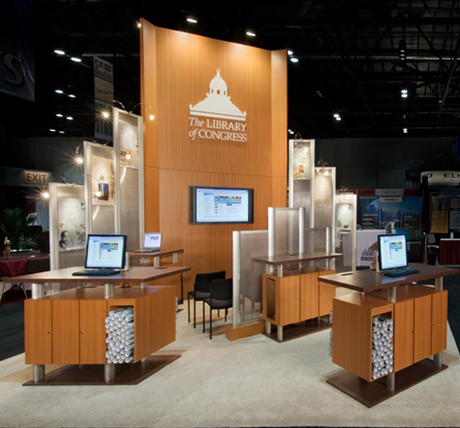 Our trade show displays professionals will create a design/solution to fit your needs and your budget. DayDesign can manage all of your trade show service needs including exhibit design, exhibit graphics, exhibit producer, and exhibit installation supervision. 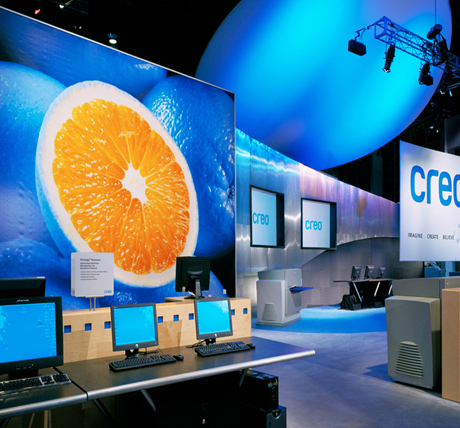 Call us today to see how DayDesign of CT can make your next trade show a success. 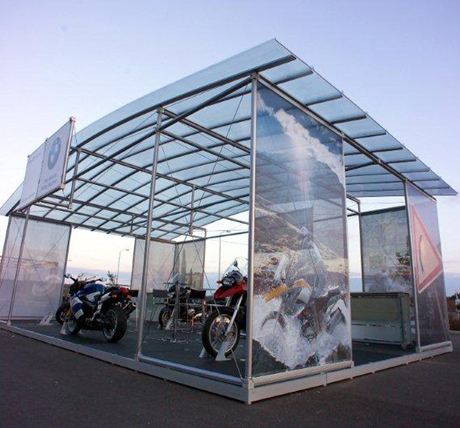 Avoid storage and refurbishment costs by choosing Custom Rental Trade Show Displays. Limit your investment while maximizizing your brand. 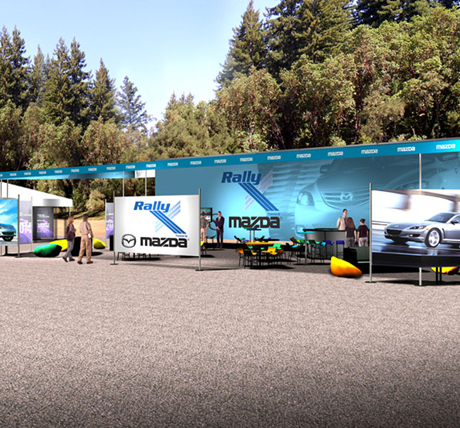 With a Custom Rental program, you can scale your exhibits and events to make the most of your marketing budget. 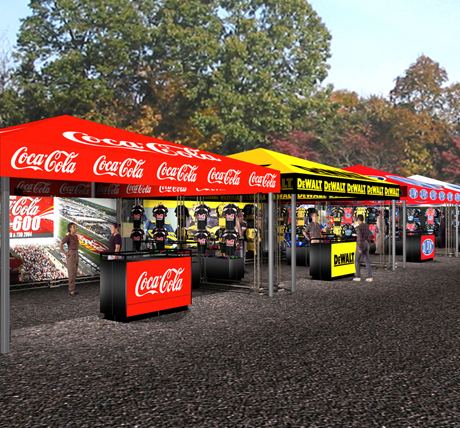 Our trade show displays professionals will create a custom rental design/solution to fit your needs and your budget. 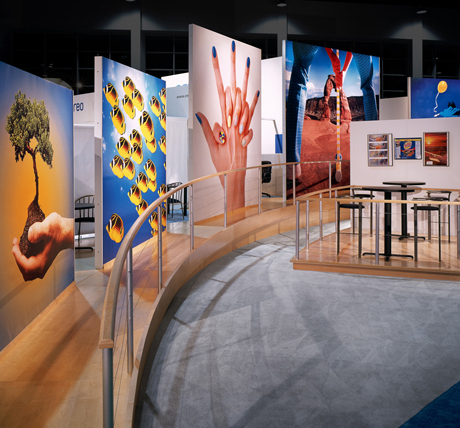 Based out of Connecticut, DayDesign can manage all of your trade show displays needs including exhibit design, exhibit graphics, exhibit producer, and exhibit installation supervision. 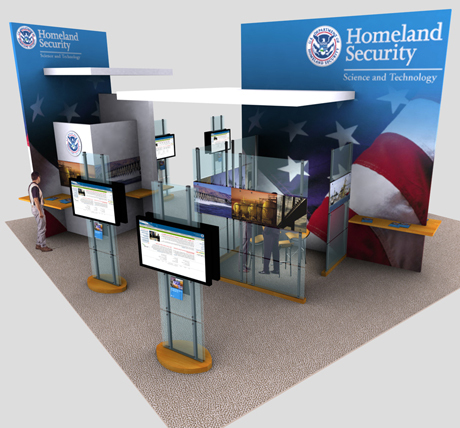 Call us today to see how DayDesign of CT can make your next trade show displays a success. 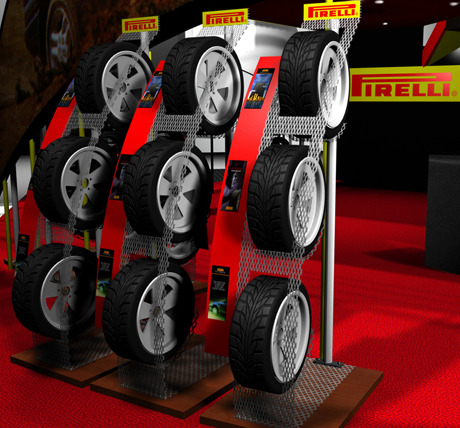 It is important that the design of Point of Sale trade show displays to be both visually and structually innovative. It should serve the purpose of attracting customers as well as remaining flexible in its design as products and promotions progress. Our trade show displays professionals will create a POS trade show display design/solution to fit your needs and your budget. Based out of Connecticut, DayDesign can manage all of your pos trade show displays needs including trade show display design, trade show display graphics, trade show display producer, and trade show display installation supervision. 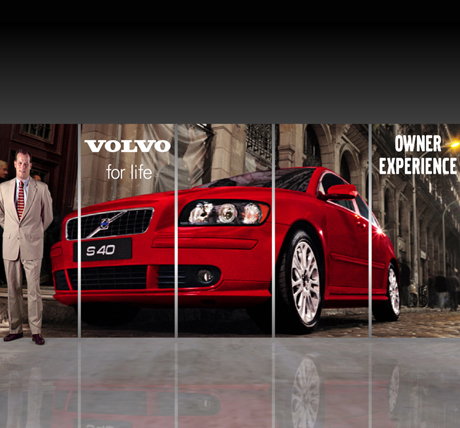 Call us today to see how DayDesign can make your next POS trade show displays a success. Based out of Connecticut, DayDesign is a skilled, innovative partner that will take your brand and vision and bring it to life with a creative, adaptable and measurable approach to your marketing program. We transform your ideas into a 3D experience to make your story clear and will connect with your audience. Our professionals have over 30 years of expertise with a firm grasp on the pulse of the everchanging world of marketing that is used to develop visual marketing strategies that are both current and effective. Our professionals will develop a marketing solution that will effectively deliver your brand message that not only fits your needs but also your budget. 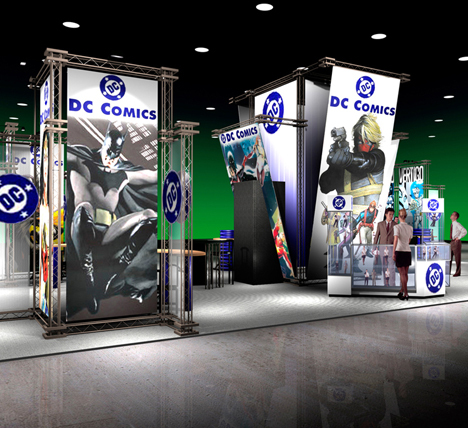 DayDesign can manage all of your exhibit and display needs including design, graphics, and installation supervision. 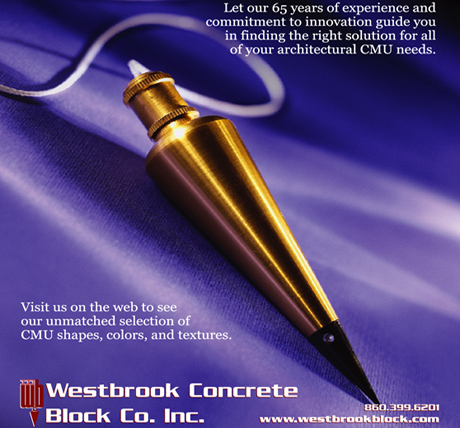 Call us today to see how DayDesign of CT can make your marketing solutions a success. DayDesign has more than 24 years of experience, is a client-centered company that's more than capable of producing your event and alleviating the stress of planning something so crucial to your company's success. With services including trade show dipslays design, project management, fabrication, and experiential marketing, DayDesign offers an expert team of professionals that promise to develop an innovative exhibit and event planning solution that optimizes your company�s ability to meet its goals. Based out of Connecticut, DayDesign knows what is required when planning a big event and what it takes to make your trade show displays stand out, to deliver your brand message, to make a lasting impression, and we are fully faceted to provide direct solutions for your requirements. Call us today to see how DayDesign of CT can make your next event a success. DayDesign is the leader in trade show displays in CT. We specialize in trade show displays and trade show exhibits in CT ( Connecticut ), NY ( New York ), and all of New England. 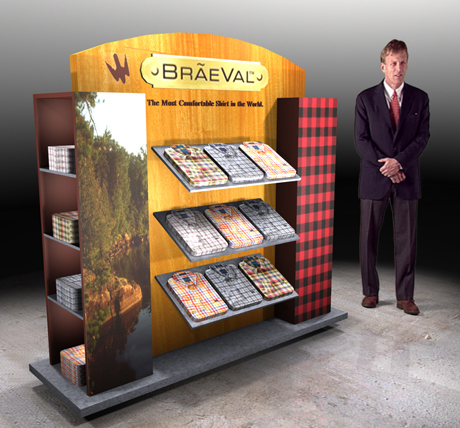 Over the last 30 years our trade show specialist have been selling trade show displays and trade show exhibits to customer not only in CT ( Connecticut ) but throughout the United States and Internationally as well. We know that a good trade show display in CT or trade show exhibit in CT can be the key factor to the success of your CT ( Connectiuct ) business. So if you are looking for a trade show display in CT ( Connecticut ) or a trade show exhibit in CT ( Connecticut ) look no further than DayDesign. We will turn your trade show event into a success. 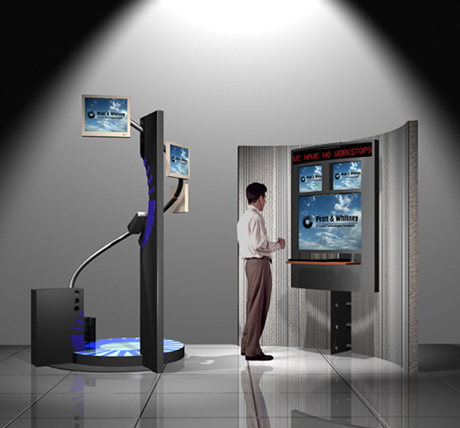 When you think trade show display in CT ( Connecticut ) or a trade show exhibit in CT ( Connecticut ), think of DayDesign. © 2010 - DayDesign, Inc., All Rights Reserved.